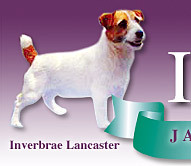 CHAMPION: Swedish, Italian, Austrian, Hungarian, Mexican, European, International Champion,Best of Breed and World Champion Jack Russell at the World Championships in Mexico 2007. 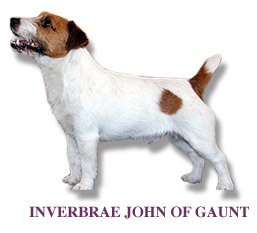 JohnJohn was bred and raised at Inverbrae. 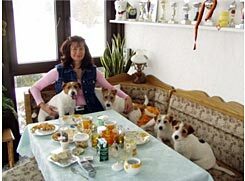 In Germany, JohnJohn sitting on Martina's right having breakfast with his girlfriends…prior to leaving for the World Dog Show in Mexico. 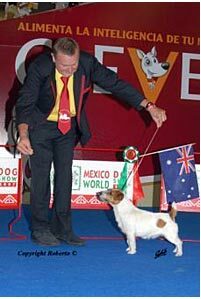 John of Gaunt and Jorg winning and flying our colours at the Mexico World Dog Show.